After being sick for a couple of weeks I am finally feeling like myself again. It took its tole on me and I couldn’t muster up much energy to get much done which got me quite frustrated. Even though I had a legitimate reason to relax and do absolutely nothing (and bingewatch Modern Family on Netflix) there’s always a part of me that wants to move my projects forward, to check off some to-do’s, to feel productive. It’s a part of me that’s very difficult to tame. And it’s increasingly more important to get it under control since I was burned out just a few years ago. One of the ways for me to keep it under control is to focus on mindfulness. 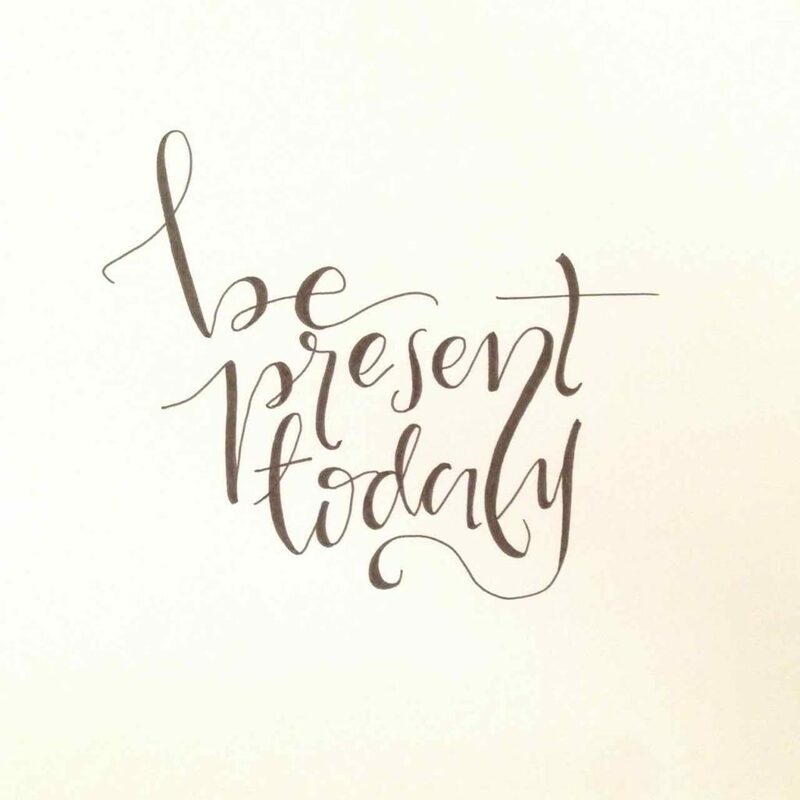 To stay in the present moment. Not thinking ahead, or on should’s or must’s. But being right here, right now. That’s my little tidbit for this Monday. I hope you’re off to a great start of the week!